Midnight Terror is one of our favorite home haunts, and one that consistently delivers an entertaining experience. 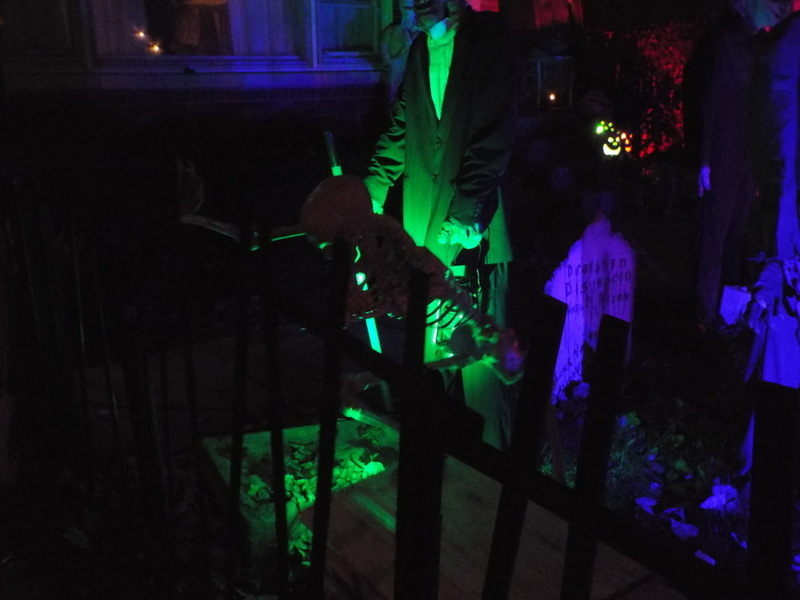 This year’s visit was no exception. 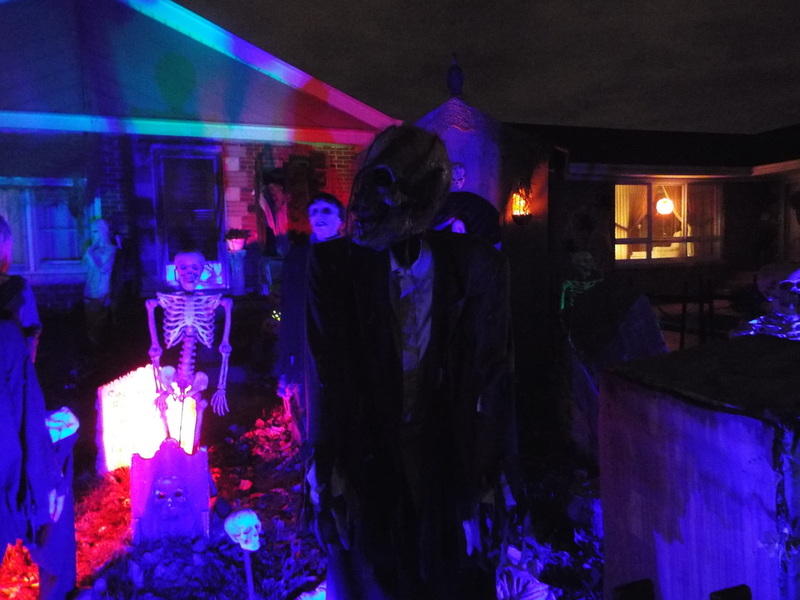 The haunt portion was changed to add some more scares and we think it succeeded. 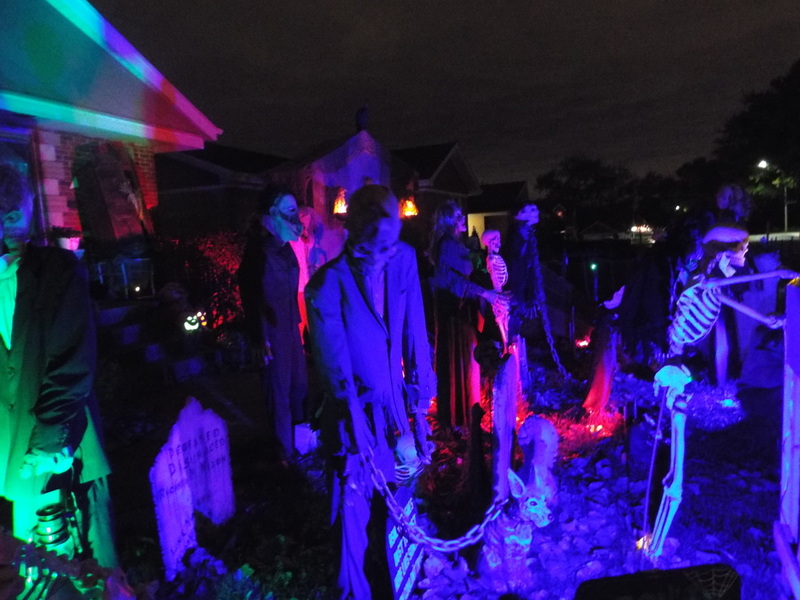 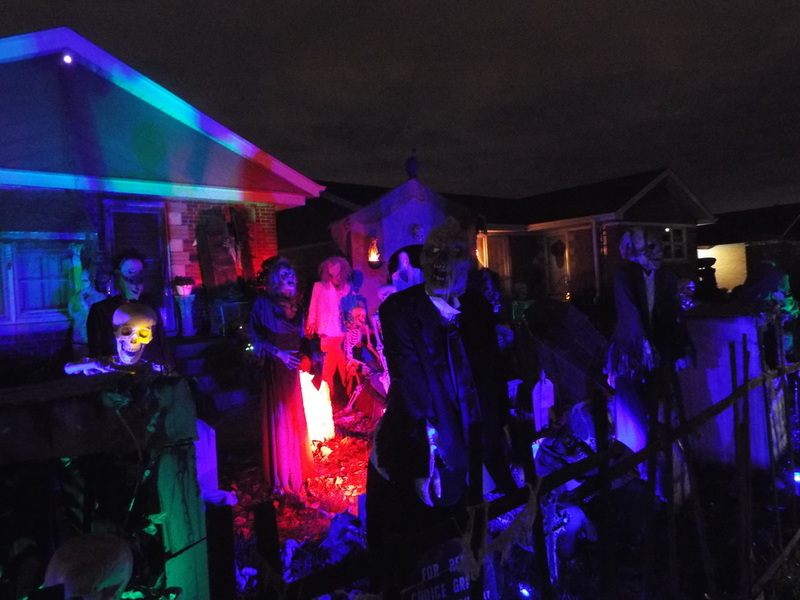 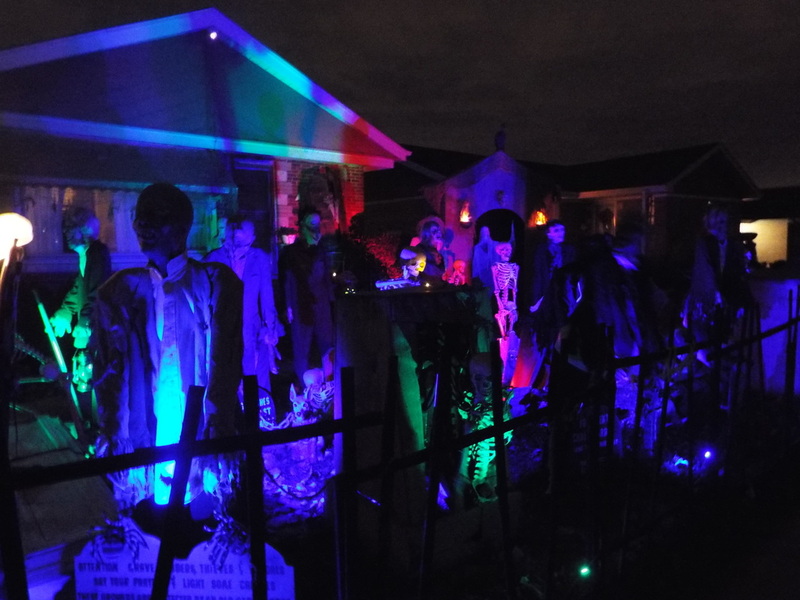 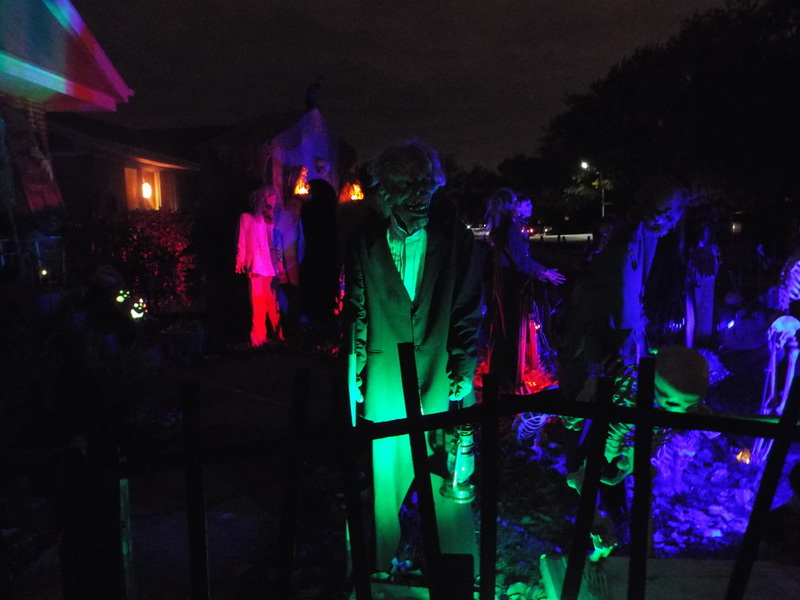 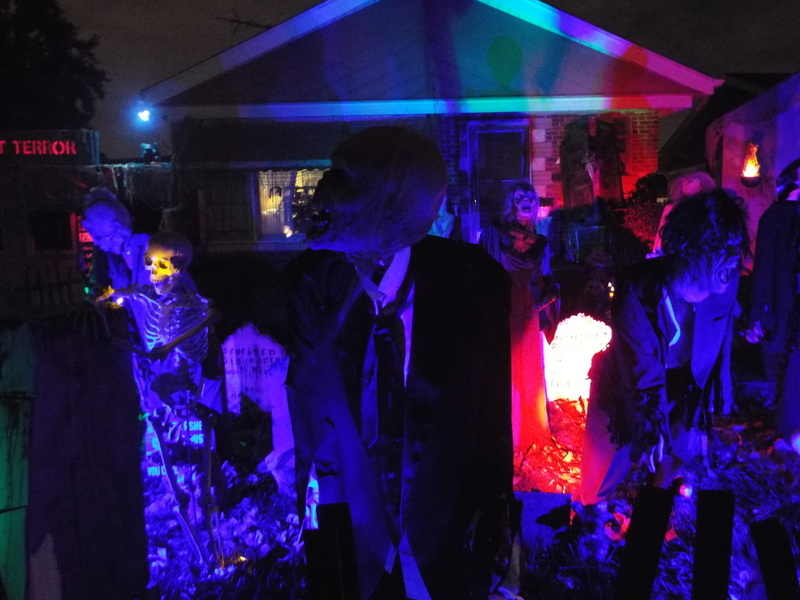 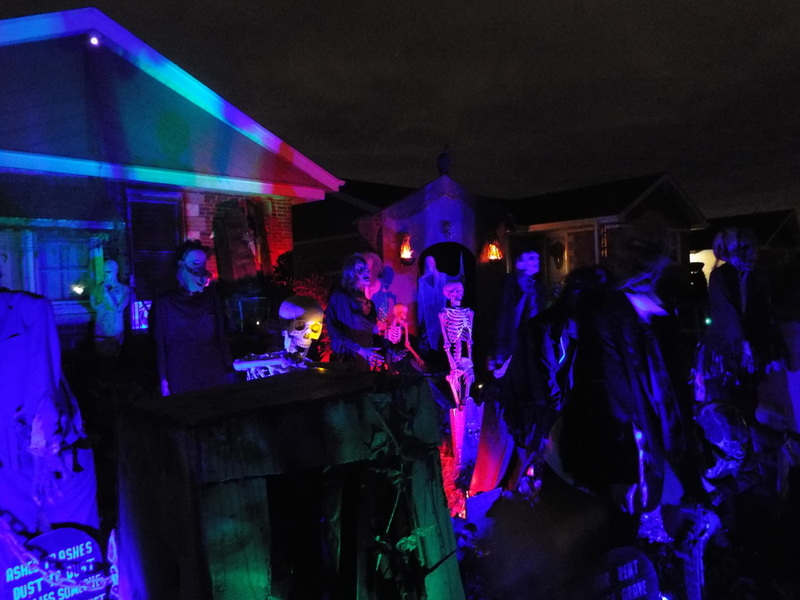 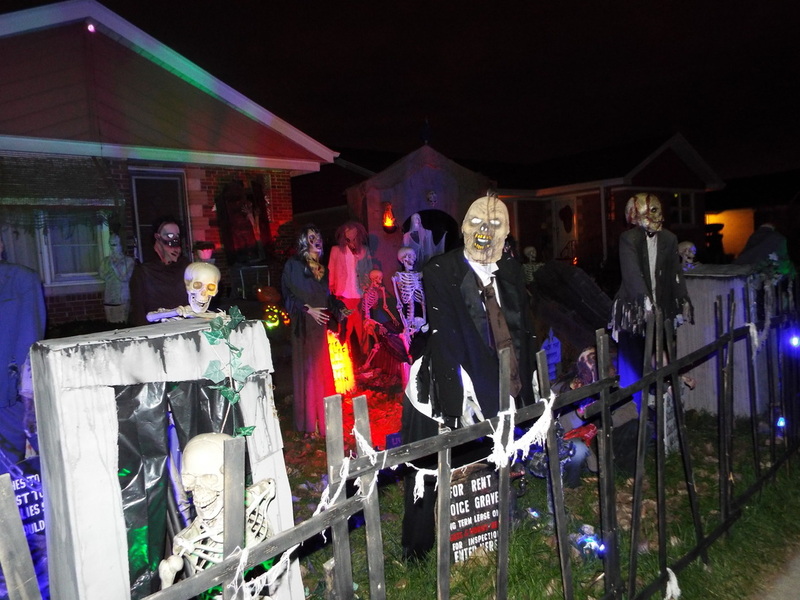 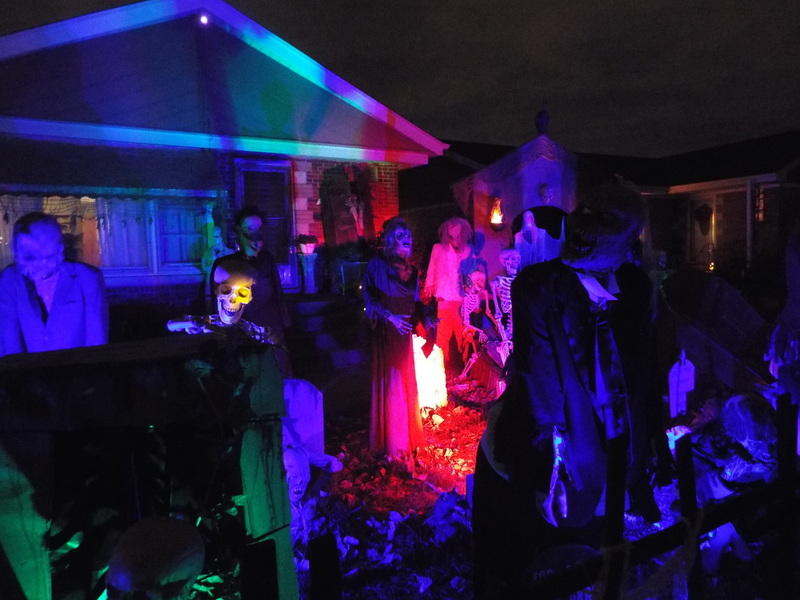 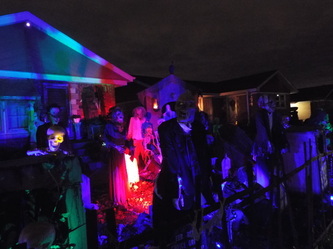 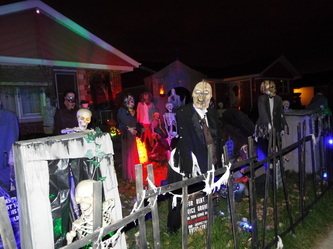 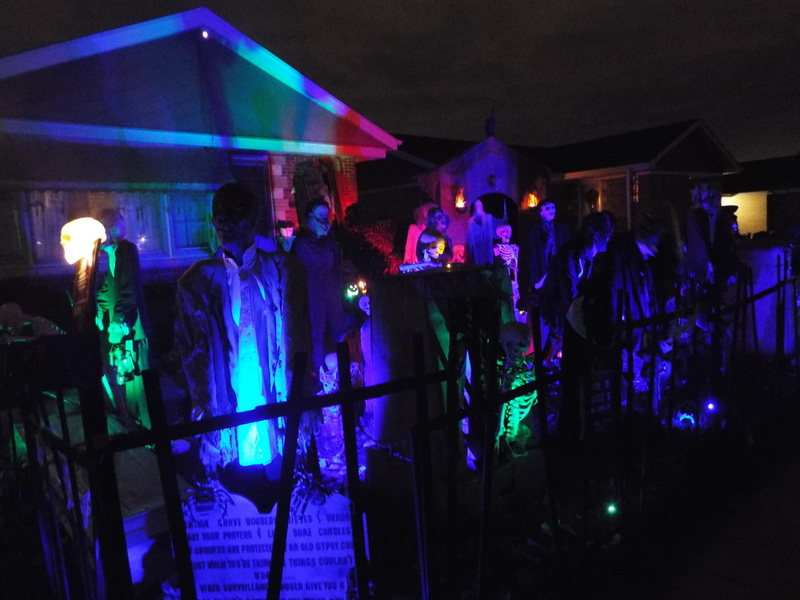 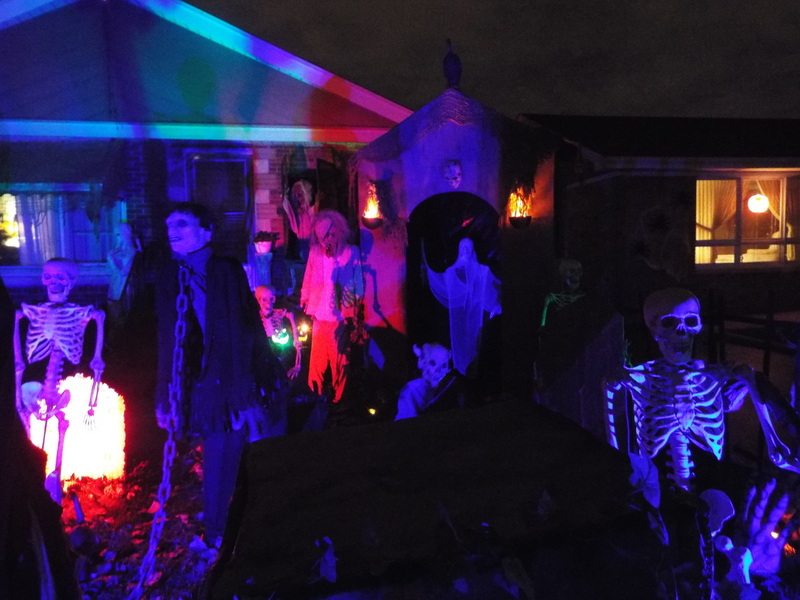 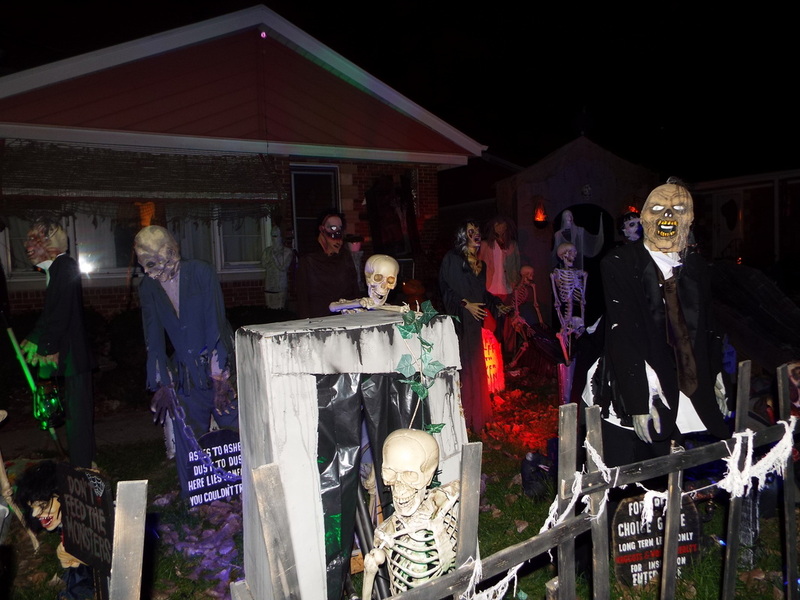 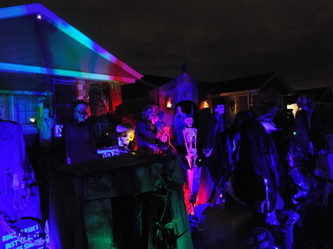 The haunt actually consists of a haunted house in the garage as well as an elaborate yard display in the front. Either one would be excellent in isolation, but taken together they are simply outstanding. 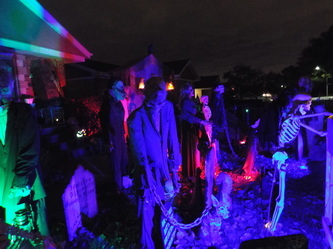 excellent setup with lots to see. 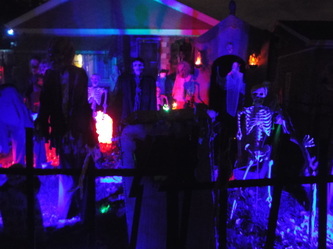 As good as the front yard is, though, the real attraction here is the haunt. 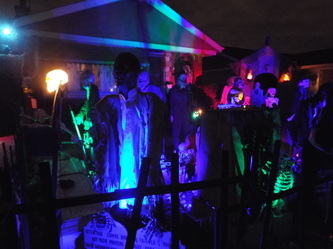 As mentioned, it is located in the garage and the back portion of the house. The front of the haunt looks very professional, with a wood-covered entranceway and a large sign that says “Midnight Terror” in giant red letters. A live actor greets visitors as they wait to go inside. 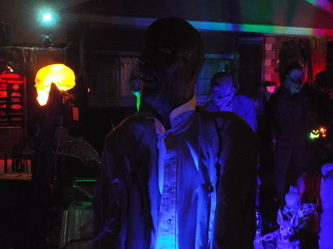 This year’s actor was dressed as a nurse, tying in with the theme in the initial portion of the haunt, which resembled an abandoned psych hospital. 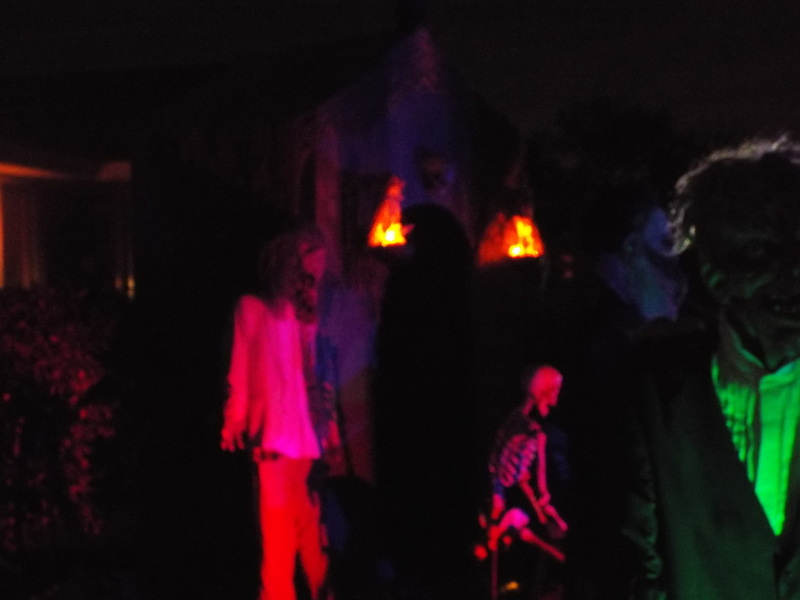 We had heard that the haunt was redesigned for 2013, so we were anxious to see what it looked like on the inside. We were not disappointed. The very first hallway featured flickering lights, peeling paint, and even windows that looked “outside” even though they were inside the haunt. 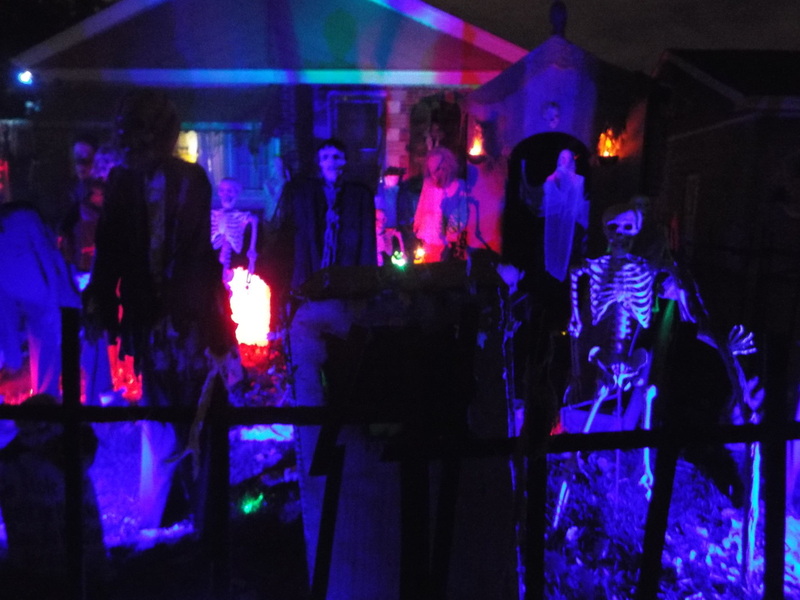 The lights, which were covered with cobwebs, looked like they were out of the 1940’s, and flickered as we walked by. 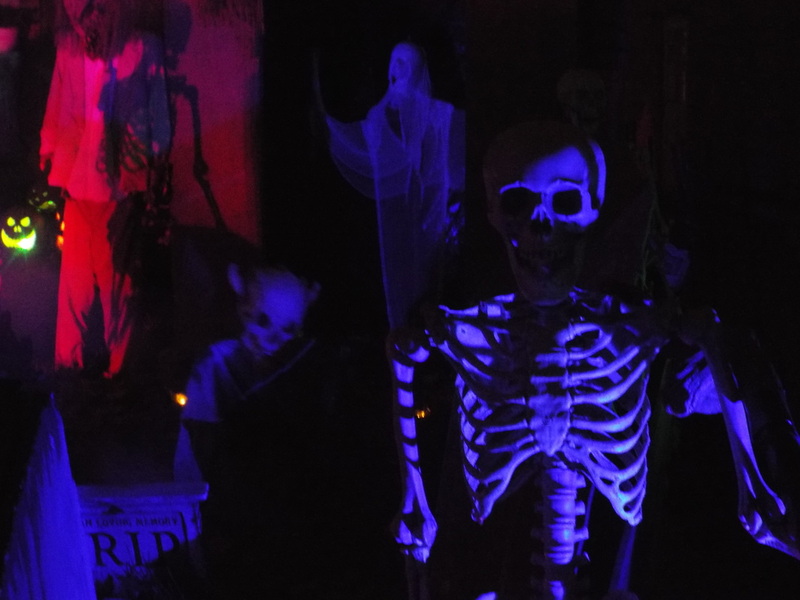 Overall, it was a nice level of detail which made an empty corridor look somewhat sinister. The excellent detail continued into the next area, which looked like a waiting room, complete with old medical charts on the walls and some old props, all of which served to immerse the visitor in this invented reality. Following this, visitors were treated to various scares, including animated props that jumped out, live actors in well-hidden areas, and several blasts from air cannons. 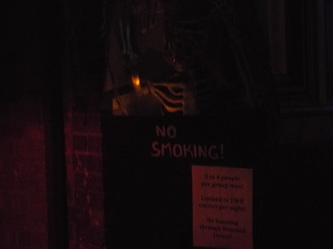 It certainly seemed designed to keep visitors on their toes, and we believe that it did, judging by the screams from the people in front of us! 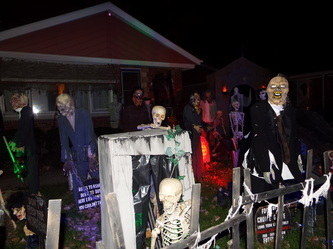 The outside portion of the haunt was complete changed this year. 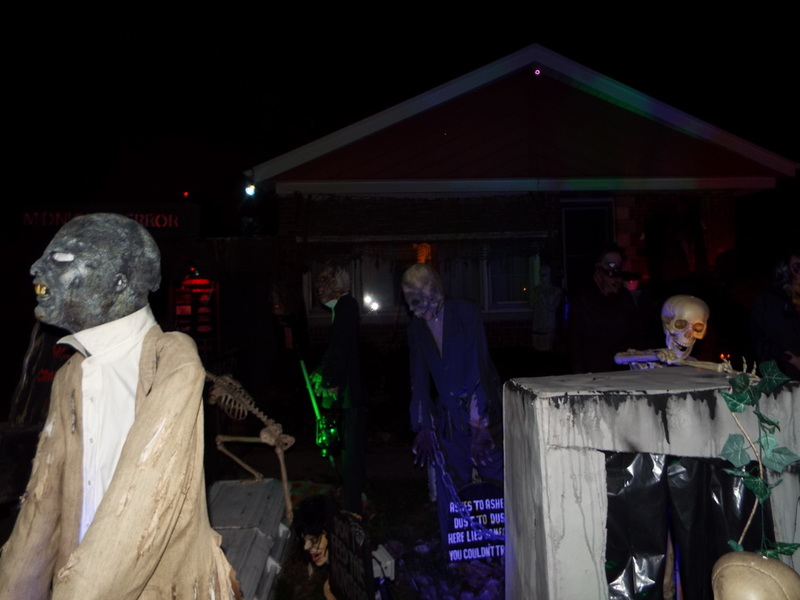 Whereas in years past the outdoor portion usually featured clowns or other ghouls with chainsaws, this year the outside was done up like a swamplike area, complete with netting hanging from the ceiling, a wooden “bridge” that people walked across, and even some real running water. 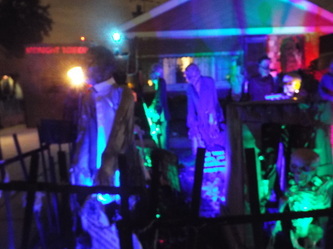 A new surprise in the form of a creepy live actor dressed in post-apocalyptic military garb awaited visitors as well. Another change to this year’s haunt meant that this outdoor scene was not the final scene at all. 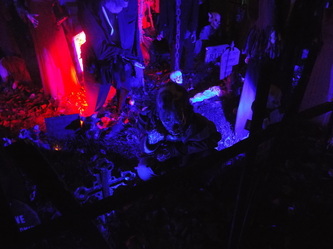 Instead, visitors had to re-renter the haunt to proceed through the final area. It was a nice twist, and one we’re sure that struck some more fear in the hearts of those who thought the haunt was over! 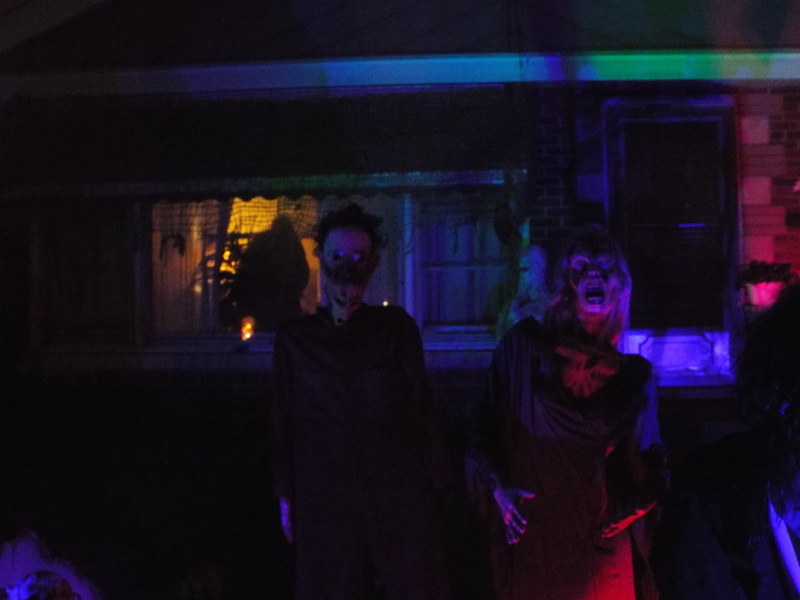 Special mention must also be given to the live actors. 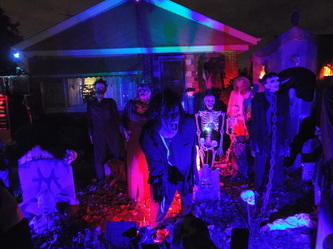 There are a large number of them in a small area, and each of them really gives it their all. The makeup and costumes are top notch, and each actor beings an enthusiasm to the haunt that rivals many we have seen. 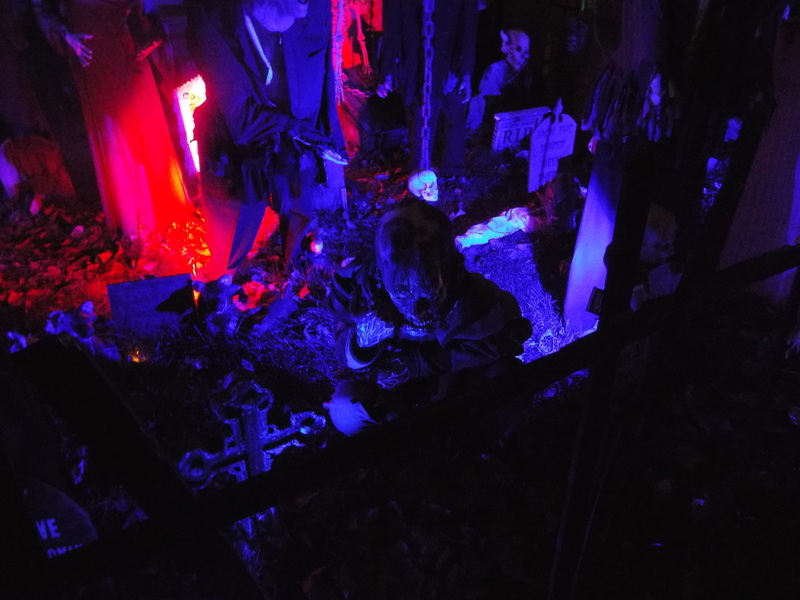 The cramped confines of the haunt, coupled with live actors who are intense and in your face, really makes for a memorable experience, especially if you happen to be easily frightened! 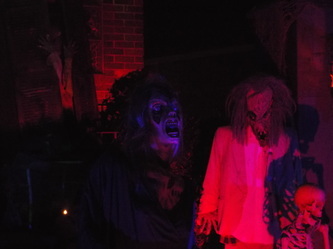 Additionally, the haunt also has live actors outside of it, who patrol the line of visitors looking for people to scare. 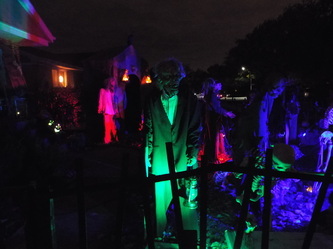 They are also very good, and often have visitors running down the block in terror, which is always amusing! 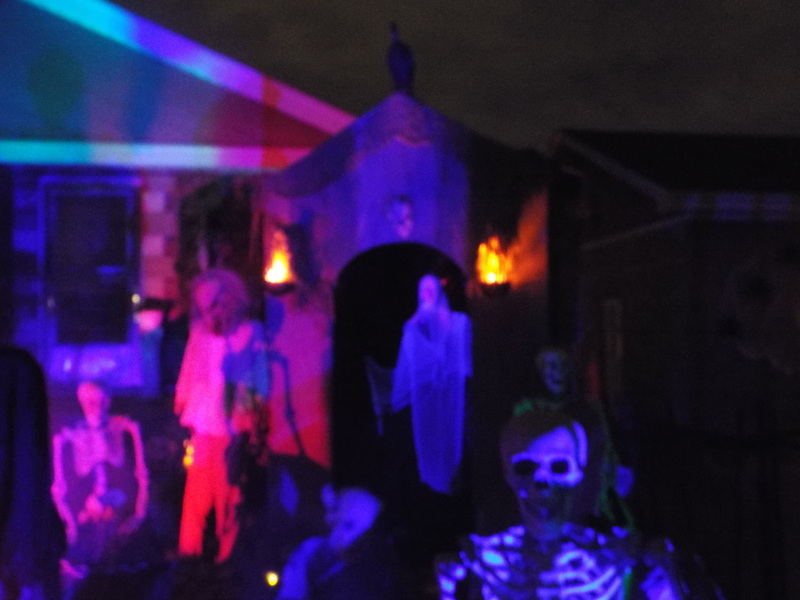 Lest you think that it is all dark and scary all of the time, the operators of the haunt serve popcorn and hot drinks, and usually have a nice bonfire going as well, so it’s not all bad! 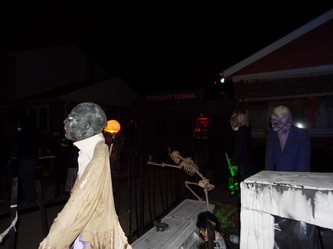 Midnight Terror does an excellent job of unnerving visitors before they even enter the haunt, which is excellent as it tends to heighten the scares and provide for a more intense experience. 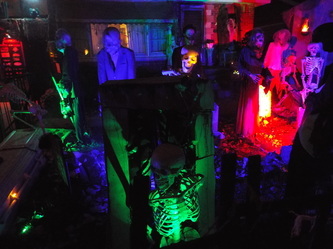 The sets are clever, and the twists and turns inside the haunt as designed to make it seem much longer than it actually is. 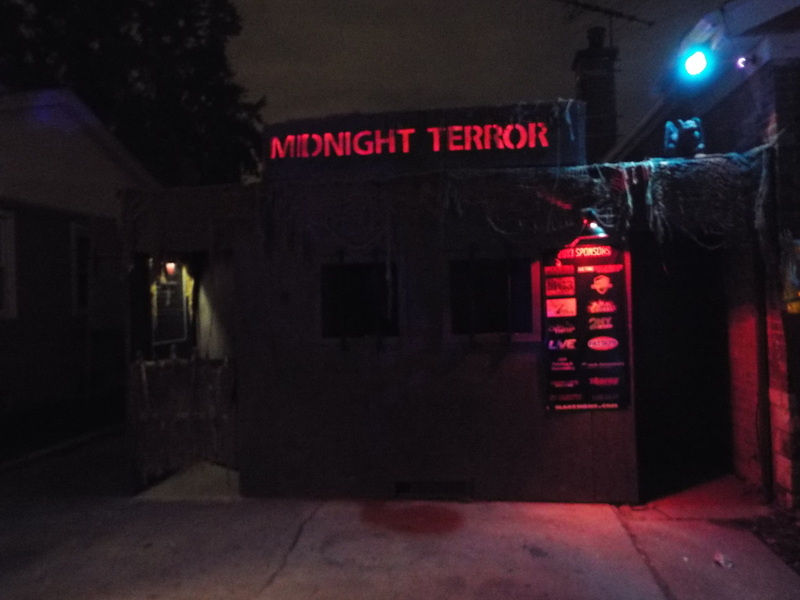 Honestly, if we had to choose between Midnight Terror and some other, professional pay haunts that we visited, we’d definitely pick Midnight Terror. 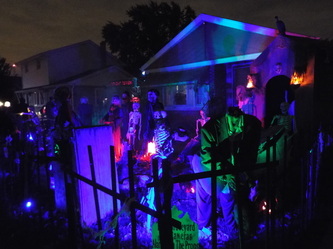 It’s excellent, well-designed, well-executed, and well worth the trip. 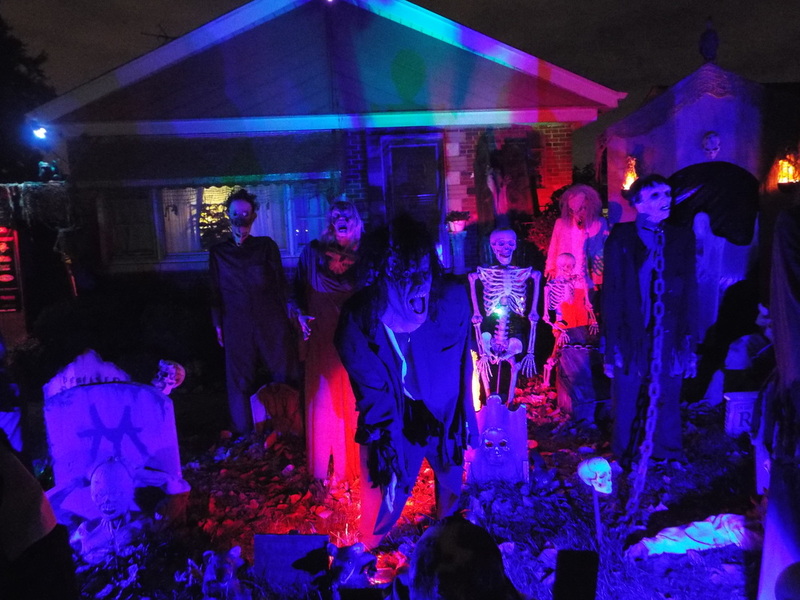 Oh, and did we mention that it’s FREE? Yep, it costs you nothing to have a great haunt experience. However, even if it wasn’t free it would still be worth it. 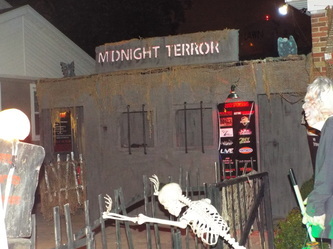 Midnight Terror is one haunt we have on our list every single year, and you should, too. 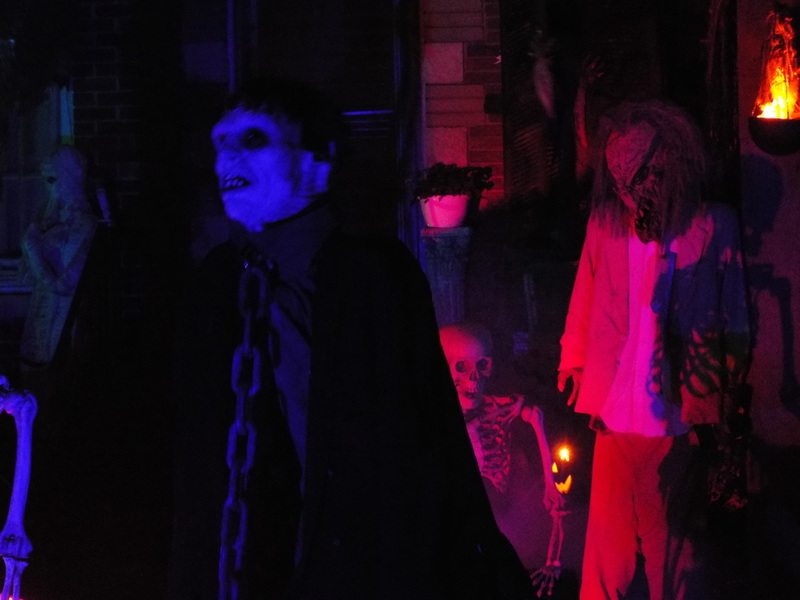 If you’re not convinced, just go see it. We’re sure you’ll come away a believer!